Pauline Yasuda is the winner of the 2013 California’s Funniest Female Competition. She loves to share her experiences of growing up in a crazy Asian family. 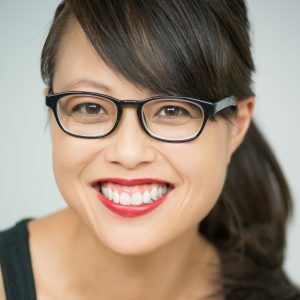 She is alum of Acme Comedy Theatre and has shared the stage with such stars as Matthew Lillard, Alex Borstein, and Tatyana Ali as a sketch performer and writer. As a stand-up comedian, she won the Wild Card Round at the World Series of Comedy in 2012, was a Best of Fest pick at the Burbank Comedy Festival, and was runner up in LA’s Funniest Comic Competition in 2015. She currently tours colleges across the US and can be seen on stage at numerous clubs throughout Southern California.